The Orchard, a Wellbeing Initiative program, strives to connect individuals with mental health challenges to a community that empowers recovery. It is an incredibly exceptional opportunity for people who struggle with mental health challenges to create genuine connections with others who have shared experiences. The Orchard is the gateway to a wealth of community resources as well as to the other activities, trainings, and support groups offered through Wellbeing Initiative. It is entirely unique in that it provides an easily accessible and inclusive environment for people in recovery to find resources, support and encourage one another, exercise independence, as well as to participate in activities designed to promote recovery and give back to the community. Our distinctive approach to peer support provides a comprehensive program. People previously struggling alone now have a place to come sit quietly, visit, play games, and build new connections. It will bridge the gap between clinical services in a comfortable, trauma informed environment. 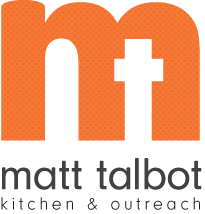 Representatives from The Orchard will be at Matt Talbot for lunch from 11:30-12:30 on the 4th Monday of each month. They will then have a time in the conference room from 12:30-1:00 for individuals who want to meet with them to learn more about the The Orchard.